I assumed the Patriots would have a ‘get right’ game here. They got humiliated by the Titans two weeks prior, then went into a bye week to stew on it. Coming out of the bye they get the hapless Jets. Of course, the Patriots will come out humming! 7-0…Jets strike the first blow of the game. 13-13 with 4 minutes left in the 3Q. It’s hard wrapping our minds around the fact that ‘never bet against Brady and Rodgers’ is dying in front of our eyes. They aren’t to be taken lightly, but they are nothing like they used to be. Some of it is the surrounding environment, some of it is losing some zip on their fastball (especially Brady). The Patriots muddled around here and were sometimes outplayed by the Jets for three quarters. Eventually, the Pats pulled away but not like ‘wow’. It just happened quietly. 27-13 Patriots win. The Patriots have a huge three-game stretch where they might go 1-2 and fall out of the 1st-round bye discussion. Or…they go 3-0 and we all sing ‘here come the Patriots, per usual’. We believe they will go 4-1 to the finish, but 3-2 very possible. 12-4 projected final record…and praying the Steelers, who will beat them in Week 15, fall to 11-4-1 and miss the playoff #2 seed BYE, leaving it to New England. The Jets have lost five in-a-row and will probably lose out to go 3-13…and fire their head coach and have a time bomb franchise QB about to blow up in their faces. The Jets are embarrassing…again. -- Can I just mention something on Rob Gronkowski (3-56-1/7)? His TD catch was a 34-yarder…a bad decision (given the options) by Brady to loft one between two defenders. It landed to Gronk a split second before the safety came from behind and almost knocked it out. Ended up a great play but so close to an incomplete…like many throws to Gronk these days. If the safety had knocked that ball out…you might have had a 2-22-0/7 day here – with Gronk playing 99% of the snaps. Gronk is averaging 4.0 rec., 63.0 yards and 0.25 TDs per game. He’s just another random back-end TE1…one you hope gets a TD to make life worth living, but he has just 2 TDs this season. He has 6 TDs in his last 16 games. He’s about an inch ahead of being a Kyle Rudolph TE option in fantasy. BUT all anyone sees is G-R-O-N-K!! With this TD catch, everyone is back on board. I’m not saying he’s a bust ahead, but his value is like a 6-7 out of 10 but people’s hopes and dreams see a 9.5…they see him as sweet TE relief in this time of TE petulance. TRADE that emotion if you still can. I still see people trading Gronk + something decent/like a RB2 (Mack, White, etc.) into Ertz-Kelce…trading them to the “any old tight end will do…AND…oh, my heavens my 5th RB position is so weak. My RB2 is so random. I’ll do anything to make it go away!” owner who never misses the fantasy show on NFL Network. Gronk is vastly overrated for what his reality has been for two years now. Brady isn’t getting any better either. Sony Michel (21-133-1, 2-12-0/2) is getting a good run this season. But has struggled with better run defenses – he has two top 10 run defenses to face ahead (MIN and PIT) the next 3 games. It feels like Michel left James White (9-73-0, 1-5-0/5) to die but note that White played 36 snaps to Michel’s 30. White would have had more catches, but this was an odd game and Brady misfired to him often, where usually they are peanut butter and jelly together. White’s not dead…he’s an RB1.5 hopeful week-to-week in PPR. I’ve been calling for an Elijah McGuire (6-19-0, 1-7-0/3) uprising over Isaiah Crowell (6-30-0, 3-30-0/4)…that it was actually already happening. McGuire 35-26 snaps over Crowell here…just crap output – the second game in-a-row McGuire was the snap winner with crap results. -- Quincy Enunwa (4-73-0/4) is so good…they just don’t get him the ball enough. I just had to say it. 4.5 rec. 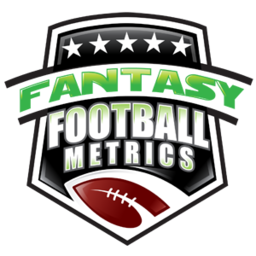 (8.0 targets), 77.5 yards, 0.17 TDs per game…9.1 FF PPG/13.6 PPR. Not bad, just not ‘wow’ games or moments. He is what he is…’good’. Working with a ‘good’ QB in decline on his medium-long passing ability. -- I’m attracted to Jonnu Smith’s recent uptick, looking for sweet TE relief. I’m watching Matt LaCosse. I play Vance McDonald at times. Why am I so anti-Chris Herndon (7-57-0/8)? He’s as legit as any of the TE1 weekly randos with his results. A lot of designed, simple throws to Herndon in this game. CB Daryl Roberts (8 tackles) is playing terrific football. I bet the Pats wished they didn’t let him go (an original NE draft pick). DB Obi Melifonwu (1 tackles) has landed in New England and is playing special teams but did get 8 snaps on defense. Still some IDP hope here someday. -- The Patriots-DST looks OK Week 14 at Miami (but that’s been trouble going TO Miami in the past) and Week 16 vs. Buffalo looks nice, but the Patriots have not lit it up as a DST this season. Very low sack counts and no real pizzazz. Just 2 sacks here…but 13 QB hits. Not sure if it’s a sign the Patriots are rising or that the Jets O-Line is crumbling. Weeks 14-16 at MIA, at PIT, BUF is not a great finishing stretch for Brady and weapons. Should be OK for Michel/White. The Jets have @TEN-@BUF-HOU ahead…a terrible stretch for the offense, but what Jets offense are you using?